Binary Options Christmas Trading – Happy Holidays! First of all, let me just start off by saying Merry Christmas and Happy Holidays to all of the Binary Today readers. I didn’t plan on doing any trading or coming on my computer at all this year but this morning I just felt the urge. The positive impact this community continues to have on my life is undeniable. 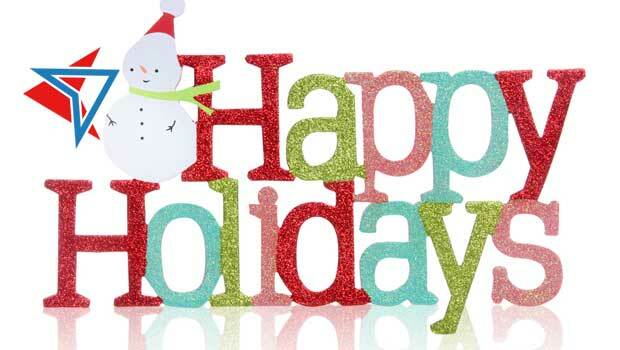 So I want to wish you and your family a healthy and happy holiday season. 2 Should I Trade Christmas? Many of you are off work and have some extra hours to indulge in some Christmas trading. These holidays are generally low volume and high volatility. So what does that mean for you? This is a question we receive frequently here at Binary Today. While I appreciate the commitment to trading, this is generally a very difficult period to trade. It’s best that you take this time to analyze your current strategies and plan for the future. Use this time to take a step back and determine your trading approach for 2017. It’s always important to look back on your successes and failures from the past year as this can help you moving forward. This is also a very good time to reconnect with your family. Trading can be very time consuming. Personally I get wrapped up in this binary options blog and I often neglect the important people in my life. It’s important to take this time to have real conversations with your family and friends. Use this time to recharge your batteries. Taking a week or two without trading may feel like a set back but coming back fresh is very helpful. Every year I take a few weeks off and really focus on the other things in my life that mean a lot to me. You guys mean a lot to me too, that’s why I’m writing this today. Thanks for stopping by and I hope you have a wonderful holiday season with your family. While many of you won’t trade, there will be a large portion of you that do. For those that do, pay attention to this list. Make sure that you understand how the holidays have impacted the binary options market historically. Due to prices developing tight trading ranges you will want to focus on short expiry time trades. While I haven’t done any testing, systems like Binary5 should be very successful. While ranging is more consistent there is always a risk that major trades can push the prices more aggressively than normal. Be careful. Good luck everyone, have a wonderful Christmas! 3 Responses to Binary Options Christmas Trading – Happy Holidays! Trust you had a great Christmas with your loved ones. Thank you for informing us all about the holidays and the effect on the markets. I will take your advice and stay out of it for two weeks. Have a well deserved break . Hope you and yours had a great Christmas, and thanks so much for what you do for this community! Here’s hoping 2017 is prosperous for all binary traders!